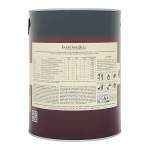 Quick drying, eco-friendly, child and pet safe, low sheen, matt finish. Washable and wipeable, scuff & stain resistant. Farrow & Ball Modern Emulsion is an eco VOC content matt finish. It is a washable product which is thinned with water and is applied by brush, roller or airless spray. It is suitable for interior use. It is touch dry in 2 hours and recoatable after 4 hours. Farrow & Ball Modern Emulsion is available in 132 colours from the Farrow & Ball Colour Cards. To avoid the risk of spillage, always store and transport in a secure and upright position. All surfaces to be painted must be sound, clean, dry and well prepared. 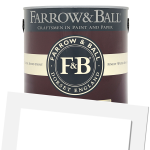 The correct Farrow & Ball Primer & Undercoat should be used before the topcoat is applied. Stir contents well before use and apply two topcoats. 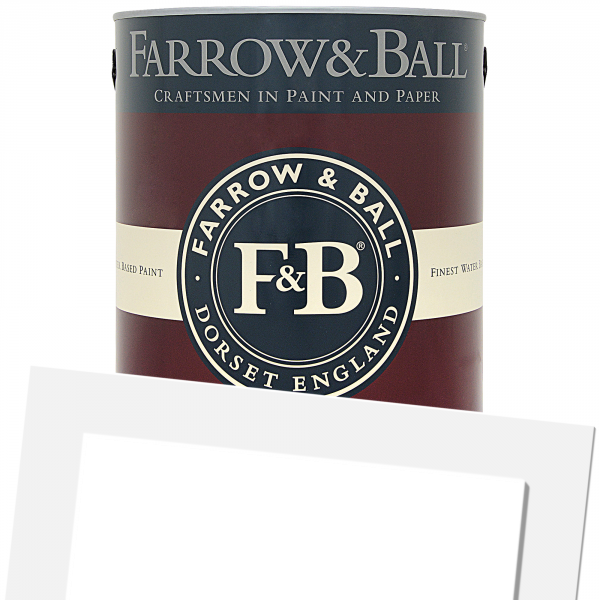 For best results use our Farrow & Ball range of brushes and rollers, which are designed to work with our water based paint. Dry in two hours and can be recoated in four hours. Then, step back and admire. Remove as much product as possible from brushes or rollers, before cleaning with warm soapy water. Protect from frost and extreme temperatures. Best used within 6 months of purchase. Do not empty into drains or watercourses. Dispose of contents/container to comply with local regulations. Metal containers may be recycled.